Most of us jump into homeschooling SCARED. TO. DEATH. So you look to someone else who has homeschooled longer and you copy everything you can from this homeschool expert, instead of taking the time to carefully think through what’s most important to you and your family. Instead of creating your own homeschooling success plan. 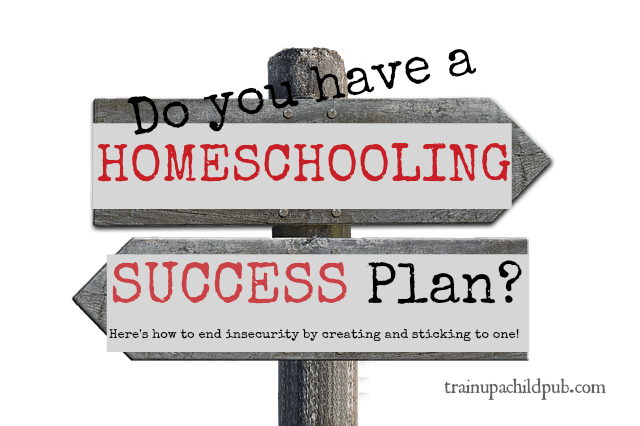 If you constantly compare your homeschool to your friends’, endlessly second-guess yourself, change curriculum and activities like you do your underwear … you need a homeschooling success plan. Without thinking through your priorities and identifying what successful homeschooling means to you, you’ll never feel satisfied that what you are doing is best for your family. You’ll be distracted by everything everyone else is doing and constantly be second-guessing yourself and your plans. Until you carefully consider what is important for your homeschool, your stress will mount while your self-confidence plummets. You’ll continually chase every new idea thinking that the next one is the one that will magically make it all better. I have felt that way. Maybe you have, too. Maybe you feel like that now. 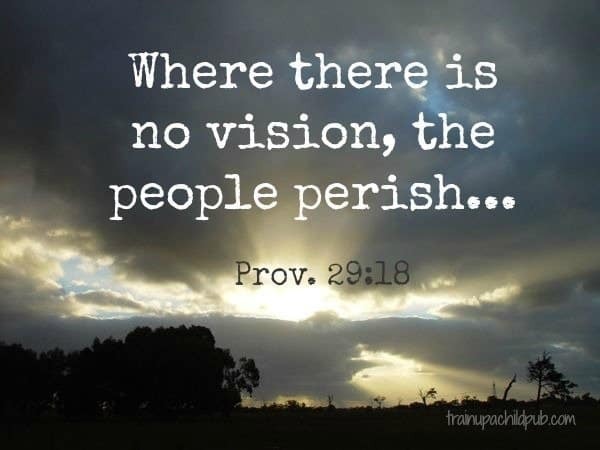 You need your own vision and plan for homeschooling success. Like a road map, it will keep you focused and moving in the direction that YOU choose. Otherwise you will continually be distracted by the next bright, shiny program or activity that you see. You will be constantly pulled off your course. When you homeschool with a plan, you know when to say “yes” and when to say “no.” You decide at the beginning of each year what you and your family are going to do and not do, what kind of curriculum you are going to use for the year, how many outside activities are possible, and which ones support your goals. So let’s make a plan! Let’s live in peace, not trying to “live up” to what others are doing. Let’s make a plan that fits YOUR family. Start by getting away from everything with your spouse, or if you are a single mom/dad, by yourself or with another homeschooling parent. Take at least a half a day or an evening to talk and pray about what YOU want your homeschool to be like. Read through Scripture, perhaps beginning with the verses below. Ask God to give you wisdom about your homeschooling years and show you His priorities. You’re honoring Him with your commitment to homeschool your children and raise them in the admonition of the Lord, so He WANTS to help you do it! Let us not become weary in doing good, for at the proper time we will reap a harvest if we do not give up. (Gal. 6:9). Pray. Write down any insights you glean from prayer. 2. After praying, determine your family’s primary core values. • Why are you homeschooling? • How do you want your family to relate to one another and to others? • What do you want your kids to be like when they are teens? • What skills do you want them to have when they leave your home? • What kind of atmosphere do you want in your home? Continue to dialogue about what’s most important to you, writing everything down that you come up with. From the answers to these questions and the others you develop, create at least 5-10 primary core values for your family. These describe the “what” you want your family to be. We will have a harmonious, peaceful household. Teaching our children about the Bible and our faith will be top priority. While they are in our home our children will develop life skills such as cooking, basic first aid and house and car maintenance. We will focus not on the negative behavior with our children, but on the heart issue behind it. 3. Create tactics to fit your values/goals. Core Value: We will have a harmonious, peaceful household. We will speak to one another kindly and character-training and development will take priority over academics. We will proactively choose and monitor outside activities and limit them to what is realistic, affordable and in line with our goal of having a peaceful home. Dad will take the kids once a week for a three hour period so Mom can do school planning, have some social time and/or take a nap. We’ll teach our kids at an early age to be responsible for their own belongings and living spaces. Note: these might not be priorities for your family, and that’s fine. Create values (goals) and tactics that work for YOU. That’s the point. Create a written homeschooling success plan by making a statement about why you are homeschooling. Follow that with your family’s core values, and with the tactics you’ve developed to support those values. Use your plan as a guideline when it is time to make decisions about curriculum, activities, habit training and more. You might even post your list of core values in your homeschooling area to reinforce these values with your children. 5. Stop “looking around” so much. Concentrate on doing what you have already decided to do well and master that before you think about adding more. Don’t ditch what you have worked so hard on in favor of something “new.” Work your plan! Don’t endlessly search the Internet for new ideas. Search with a purpose and be focused. Don’t try and keep up with the 25 blogs you used to read. Find a few that speak to you, share your outlook and values, are helpful, and concentrate on reading those. Check in with your plan and your spouse before adopting anything new. Ask yourself: will this new idea bring us closer to one of our primary goals? Does it fit? Is there time for it? How will this change/ blend in with what we are already doing? Would it be better to wait and start this at the beginning of the next semester or the following year? If you are experiencing problems in your homeschooling, try and ferret out what the problem actually is: is it behavior you need to deal with? Does your curriculum or teaching style work against a difficult child’s learning style? Do you need to get your husband to take a more active role in your homeschool efforts or hold a child more accountable? Do you need to train or re-train someone in a particular area? Could your child have a physical issue with eyesight or a learning deficiency? An opinion from an experienced homeschool mom and/or a professional might be profitable if you can’t determine the issue yourself. Have you ever taken the time to think through your family’s core values and create specific tactics to reach your goals? How might creating a homeschooling success plan help you be consistent and more secure in how you homeschool and parent? Does just the thought of creating a homeschooling success plan like this seem overwhelming? Could you use a free ebook that lays out this process with step-by-step instructions and worksheets? I love this Dana. I homeschooled my 2 kids through 6th & 7th grade. Now my daughter is thinking about homeschooling her kids. I will share this with her. Thanks for the encouraging comment, Vicki! If we would take time to consider our values and goals before we started homeschooling it would make our homeschooling so much easier! Thanks for stopping by! I’m so happy to hear that, Arjmand! There are lots of posts on the blog that may be helpful to you as you start out homeschooling. I wish you the best as you begin the adventure! =D Thanks for taking the time to comment! Dana – what a practical, step by step approach! I think that taking it slowly, step by step, any homeschool family could benefit from the process and the result. Great ideas! Thanks so much, Beth! It seems obvious that we would homeschool more easily with a plan, but most of us (myself included) just jumped in without taking the time to make one. It was a few years down the road before we really thought about making the “plan.” Thanks for stopping by!